The transgender people represent a crowd who have the least amount of respect or rights in Pakistan. 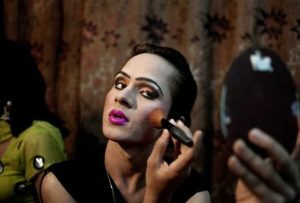 Due to the notorious nature and conservative approach to society, the topic of transgender rights in Pakistan is not even debated in cultured circles. They have just received rejection and negativity from almost every corner of the society. I have often wondered why it is that generally there is hatred for the transgender in Pakistan. Why is the society not ready to accept them as they are, as human beings first? There is a general conception about them that they just can just sing and dance. That’s why people don’t even think about uplifting their lives. Owing to being ignored by the society, they live miserable lives and face extreme poverty. Their voices are not heard in our society. They are devoid of all kinds of facilities including education, healthcare facilities, social respect, and economic opportunities. Recently, Wafaqi Mohtasib Secretariat (WMS) has appointed a commissioner for transgender persons. This is a welcome news and one can hope that their grievances may be addressed practically. There is pathetic condition of transgender people in our country. The society has refused to accept their basic human pride. Often they are harassed and abused as no one is willing to listen to their complaints. They are languishing every day. Perhaps trans people are the most overlooked segment of our society. The high-ups have seldom played their role to take this marginalized and unfortunate segment out of the quagmire of begging and dancing and providing them a respectable life. Before 2011, trans people were even devoid of the recognition as the member of this country. They got their identity when Supreme Court ordered Nadra to issue CNICs to trans people. It is not enough to just make a system to issue them national identity cards; they need much more. In the recent census, over 10,000 trans people have been counted in the country and only 1,456 trans people could register themselves on the electoral system. Some time ago, a transgender person in India was appointed as a judge. This is a good example for neighboring countries of India to provide opportunities to the trans people so that they can utilize their energy in social sectors. Moreover, they should be given proper education. There must be a job quota for them. Importantly, discrimination against them needs an end as they are human beings first. Our society needs to stop treating them unfairly. Riaz Ahmed Rustamanibelongs to Dadu. He has done MA English from University of Sindh, Jamshoro. Writing letters and blogs is his hobby.